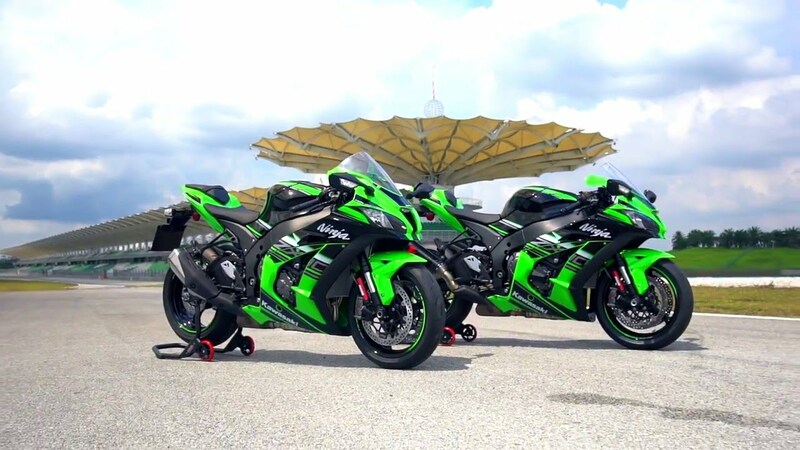 Shah Alam, Selangor, 14 May 2017 – Kawasaki Motors (Malaysia) Sdn. Bhd. 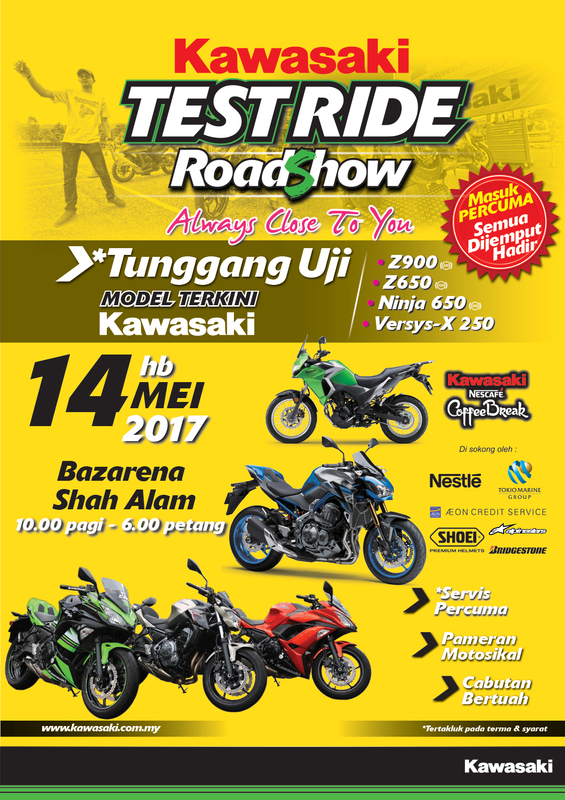 (KMSB) will be organizing a test ride roadshow for all Kawasaki enthusiasts on 14 May 2017, from 10am to 6pm, at Bulatan Bazarena, Stadium Melawati Shah Alam. Calling it, Kawasaki “Always Close to You” Roadshow, KMSB will showcase their latest 2017 models. During the event, KMSB will display its Kawasaki Z650 ABS, Ninja 650 ABS, Z900 ABS and Versys-X 250. Kawasaki enthusiasts will have the opportunity to test ride these models to get first-hand experience. It is an opportunity not to be missed. Specially arranged layout course has been designed to allow Kawasaki enthusiasts to feel the motorcycle agilities, manoeuvrabilities, versatilities and light-weight in the slim and compact design of these models. These impressive All-New models will capture your heart with its style and performance. Kawasaki motorcycle owners will also get a chance to get their motorcycle serviced during the event. Kawasaki motorcycle owners can get your Kawasaki bike serviced with FREE labour cost. The services will be facilitated by highly trained Kawasaki Exclusive Service Centre (KESC) Glenmarie personnel. It’s a fun day out for Kawasaki enthusiasts as KMSB has also planned many activities for everybody to participate. Nestle Malaysia will also be offering service FREE Nescafe drinks for coffee lovers. Other partners that will be participating are Alpinestar Malaysia, Shoei Malaysia and Bridgestone Malaysia, will display and offer their range of products. AEON Credit Services and Tokio Marine Insurans will be there to advise and offer their products to potential customers. The roadshow activity is a part of KMSB program to reach out to their customers and the public. Kawasaki enthusiasts can stay tune for more updates from KMSB as they have planned for more roadshows. This is part of KMSB’s commitment to provide the best customer experience in-line with their roadshow tagline, Kawasaki Test Ride Roadshow “Always Close To You”.